This year marks what would have been the 80th birthday of beloved former Czech President Václav Havel, and the DOX Centre for Contemporary Art is displaying an exhibition to show a side of him that wasn’t often seen. The exhibit includes over 300 photographs beautifully documenting Havel’s life, taken by two different photographers, and documentary video footage of Havel toward the end of his life. Many people see Havel only as a political leader, but this exhibition brings to life his personality. Through these photographs and footage, we see that Havel too went through the highs and lows that any average person experiences. Němec was Havel’s official photographer while he was in office from 1989 to 1992, and again from 1997 to 2003. His work displayed at DOX captures Havel’s life, from the glorious time he won his second election to the mournful death of his wife, beautifully in black and white. Němec’s photographs are exhibited on the first floor of DOX. Just up the staircase, Holomíček’s images of Havel are displayed. Holomíček became good friends with Havel and started documenting his personal life during his time in office, showing a more intimate side of the Czech President. Like Němec’s photographs, Holomíček’s are also black and white, but they are displayed in a more unique way. The images are smaller and placed closely, side by side, in chronological order covering an entire wall. Some of the images include Havel at dinner parties with friends, hanging laundry on a clothesline, and behind the scenes at official functions. Sitting across from Němec’s gallery, never-before-seen footage of Havel plays on several television screens. Director, cameraman and producer Petr Jančárek worked with Havel from 2009 to 2011 to record the last years of his life in detail. 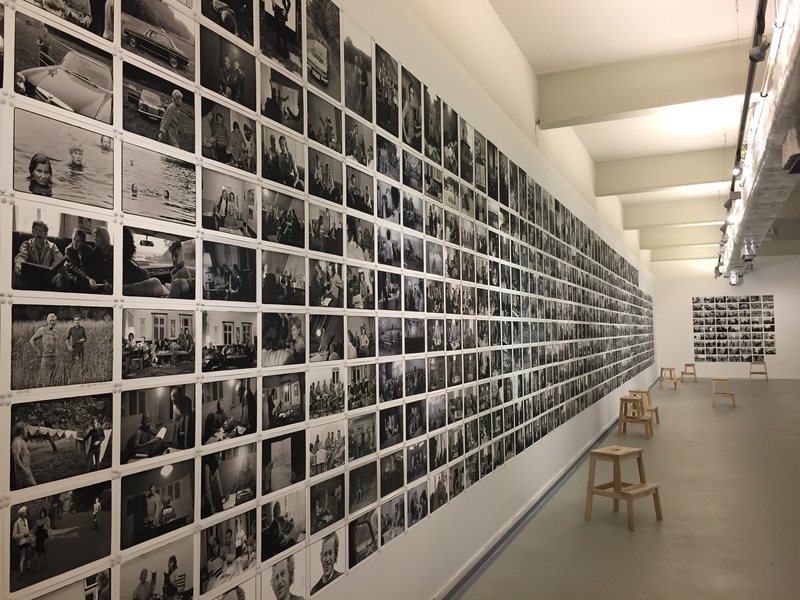 “I see the exhibition as a whole piece which has three parts, and every part helps the other ones to understand the time period and the life of Václav Havel,” said AAU Professor Bjorn Steinz, who took his Documentary Photography class to see the show. Němec’s photos show more of the political life of Havel, Holomíček shows his personal life, and Jančárek’s footage brings the last years of his life into motion. For a foreign visitor with little knowledge of Havel, it is evident from the photographs that he was truly loved by the citizens of the Czech Republic. Some of Němec’s photographs show huge crowds awaiting Havel outside of the Prague Castle. The exhibit will be showing at DOX until February 13, 2017, and if you bring your AAU student ID, you will get a student discount. Don’t miss out on this wonderful exhibit that shows the personal side of this influential leader.